D agency is an agency in which six of the Netherlands’ best designers have joined forces. This seems to be a golden opportunity, but why did this not happen sooner? This is a conversation with Guus van Maarschalkerweerd and two of the designers. Renske Schriemer The website tells us you are a mediator between industry and design. Why had an agency for designers in the Netherlands not been set up sooner? Guus van Maarschalkerweerd That‘s a good question. It‘s not for lack of interest from designers. What has become clear to me over the past few years is that creatives need support on the business side of things, from acquisition to negotiating fees and concluding contracts. This allows them to focus on what they‘re good at: designing. But an agency like that – a phenomenon that has been around for, for example, photographers and models for many years – doesn‘t become a success overnight. It takes time to invest in relationships. I am able to do this because I work with both designers and clients every day in my role as creative consultant, recruiter and matchmaker at DesignConnector. This forms the foundation for the success of D agency, plus the unique talents of the six designers that I represent, of course. RS They are listed on the D agency website, but they can also be contacted directly. Why would clients go through D agency? GvM Our agency is a one-stop-shop for clients, one central point for different tastes and design styles. In the initial stage, there is also one contact person, which makes it a lot more transparent. After a meeting to discuss the requirements, I look for the best designer(s) for the assignment. This eliminates a pitch, and therefore saves time and money. D agency also takes care of the financial agreements and contracts, so there can be no subsequent discussion about that. The designers at D agency each have their own qualities, from technical to conceptual. They are all experts of industrial design, of developing a product from A to Z and marketing it. RS Acquisition is usually not designers’ greatest hobby; was that a motivation to join D agency? Thomas Eurlings Yes, but having a business representative is also very useful. As a designer, you often want to get right down to it and present your ideas before negotiations have even been concluded. That‘s not always wise. Guus undertakes this negotiation process for us, which really is an added value. Geke Lensink But it is also obvious that we reinforce, inspire and support each other. And we also communicate a common message to the market – we are Dutch designers who have mastered the industrial production process. This is completely separate from the Dutch Design movement; it is something entirely different. RS What if one designers keeps getting all the assignments? Thomas Eurlings If clients specifically request a certain speciality for certain period of time, then that‘s the way it is, that come mainly from the client. RS Would it help to send Guus a bottle of wine every now and then to get more assignments? Thomas Eurlings No, I‘d rather pop open a bottle of champagne with him when we‘ve received a good assignment. RS What would be a dream assignment for you? Geke Lensink A close collaboration with a foreign client. One who gives me or us the opportunity to design and develop a product that will last for years and will be a best-seller in the international market. RS D agency will be attending Milan Design Week, but not with a presentation just yet; what will you be looking out for this year? GvM As crazy as it may sound, for me, Milan is a great moment for distancing myself. It‘s an enormous quantity of impulses and a feast in terms of beauty, good food and meeting extraordinary people. When I get home, I let everything sink in and that‘s when I see the trends emerge. And, of course, I‘m business-minded enough to view possible clients from a D agency perspective. D agency is the first agency for industrial designers in the Netherlands. It is an initiative of Guus van Maarschalkerweerd of DesignConnector and designers Geke Lensink and Thomas Eurlings. D agency is also the central point of contact for clients who are interested in working with a Dutch designer. The agency makes life easier for both clients and the designer, by carrying out negotiations and recording agreements. This allows designers to focus on what they are good at – the creative process. 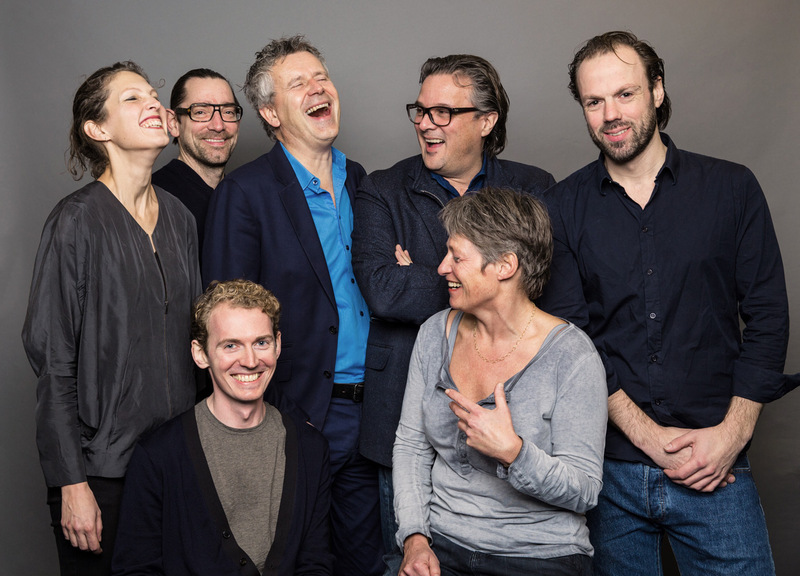 Current members of D agency are: Roderick Vos, Mieke Meijer, Friso Dijkstra, Thomas Eurlings, Geke Lensink and Jesse Visser. To view their profiles and for more information, see www.dagency.org.